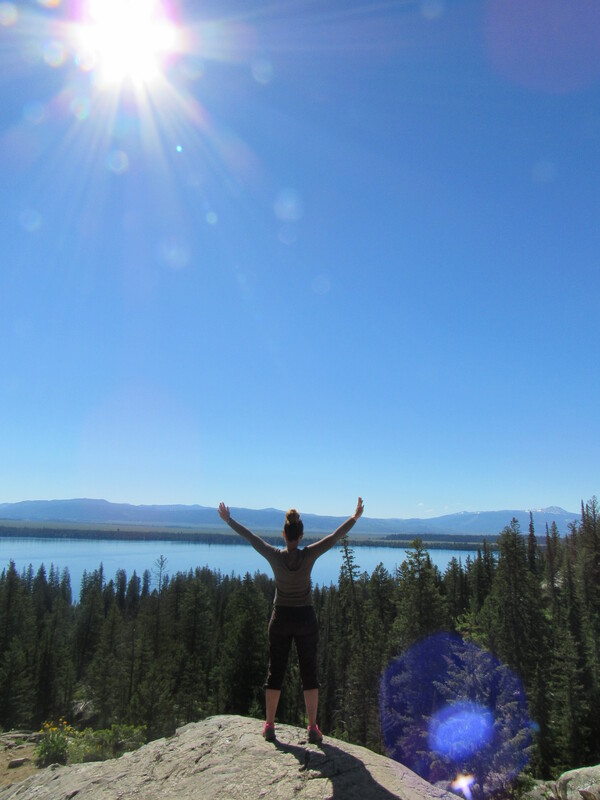 Are you ready for our Day 2 in Grand Teton? I can’t believe that this is the last full day in this amazing region. Time has gone fast since the first day of our adventure. I hope that you were able to read all of the previous days leading up to this. 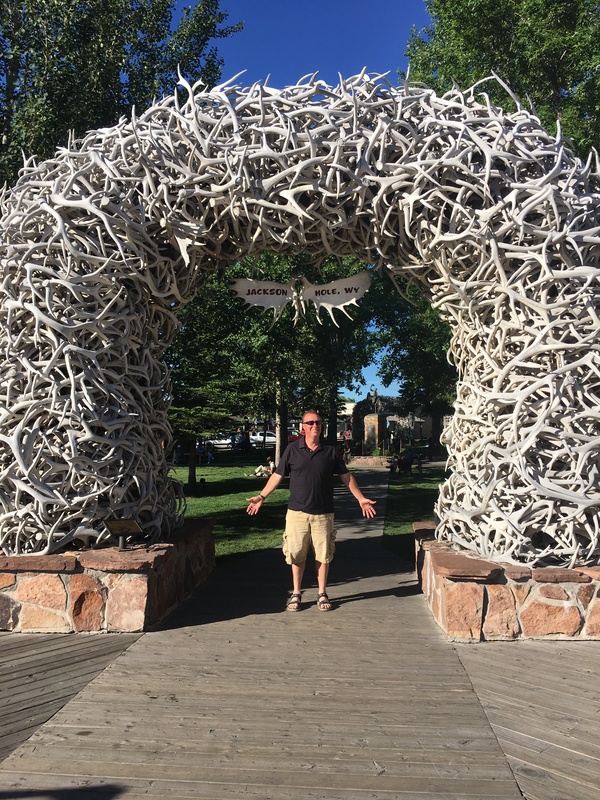 Our 4 days in Yellowstone and journey to Grand Teton. 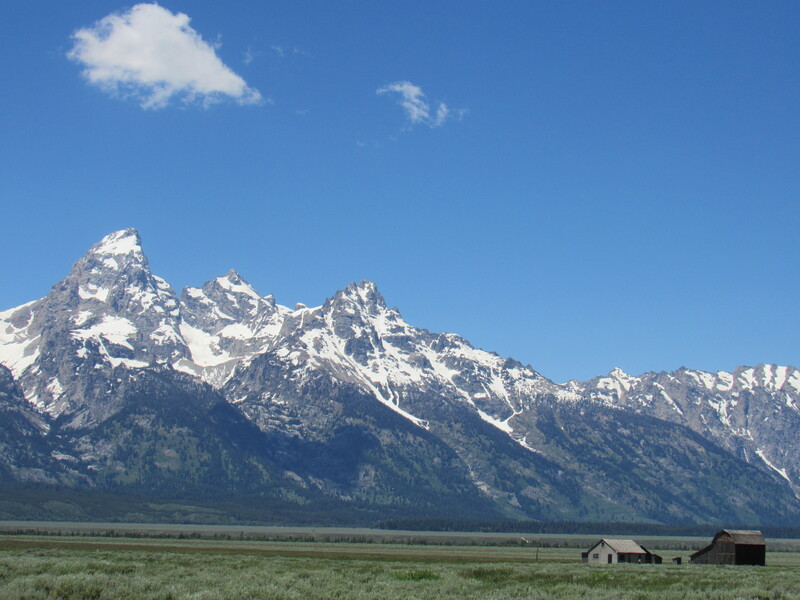 At least read my post about our first day in Grand Teton. I was excited about today because we were off to see some amazing lakes! We made our way up to the Jenny Lake Area. There aren’t many waterfalls that are easy to access in Grand Teton (I know what you’re thinking, haven’t you had your fix of waterfalls from Yellowstone? ), so we set off to find Hidden Falls. the boat taxi across the lake. The boys loved it and they were happy not to partake in a 5 mile hike. The ferry only takes a few minutes and it runs pretty often, and the captain was knowledgeable and loved answering questions. 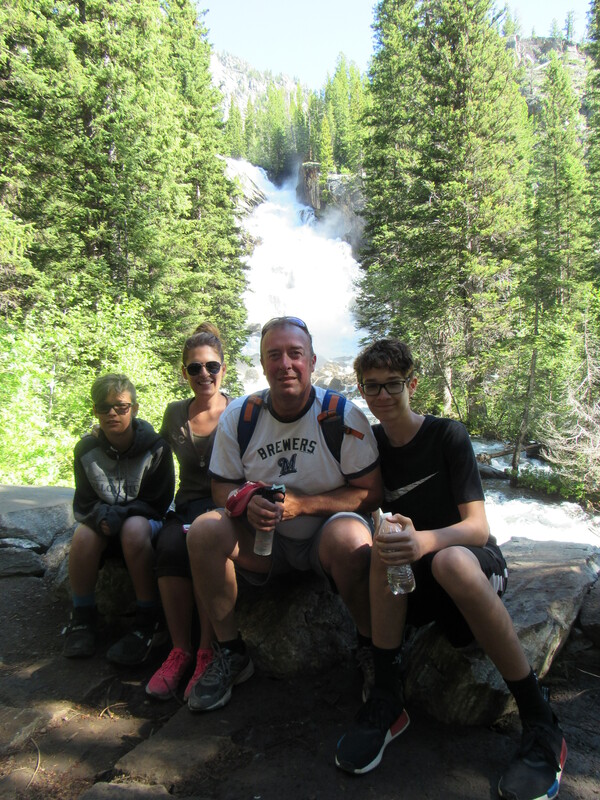 After finding the Hidden Falls, hiking along a pretty moderate, heavily traveled path, we snapped a few pictures in front of the falls. I think this is the most popular trail in the park, so there was a line to view the falls. The trail continued up, so I talked the boys into going a little further and we made our way to Inspiration Point which gave us amazing views of the lake and mountains. Worth the hike to me!! 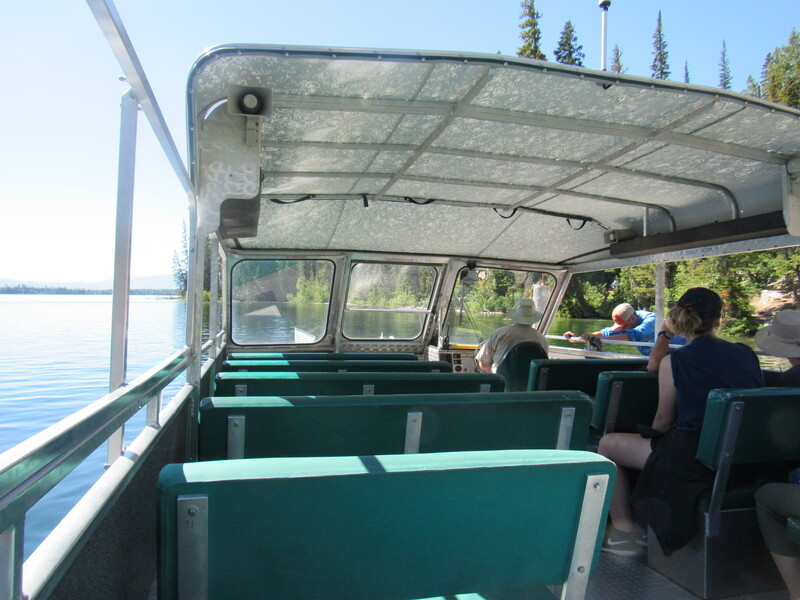 Our next stop was String Lake. I was excited because I read that it is an amazing lake to paddle board, kayak and canoe and thought they were available for rental there, but we discovered that you have to rent them somewhere else and bring them, so make sure to plan ahead. I believe there may be outfitters in Jackson Hole so you would need a way to haul them up. 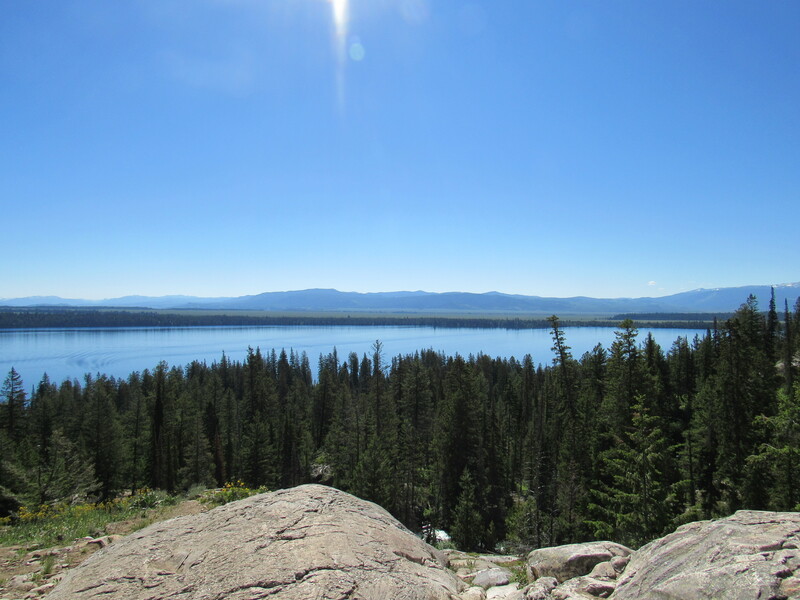 My husband also heard that Jenny Lake would be offering them soon, but not yet 🙁 So we decided to hike to Leigh Lake instead, yes a lake with my name! This lake is only accessible through trails, so this was my only chance to see it. When we made our way back, we grabbed a picnic table by String Lake and had our picnic. It had gotten really busy and so I was happy we came early! It was recommended to visit both Jenny & String Lakes in the morning to get a parking spot. On our way out we drove along the Jenny Lake Scenic Drive. This is a one way road that travels through the forest. It was a short, but enjoyable ride. We found our way to Schwabacher’s Landing for a short nature trail which leads to a beaver pond. Hoping to see some wildlife, but not sure where they have been hiding! 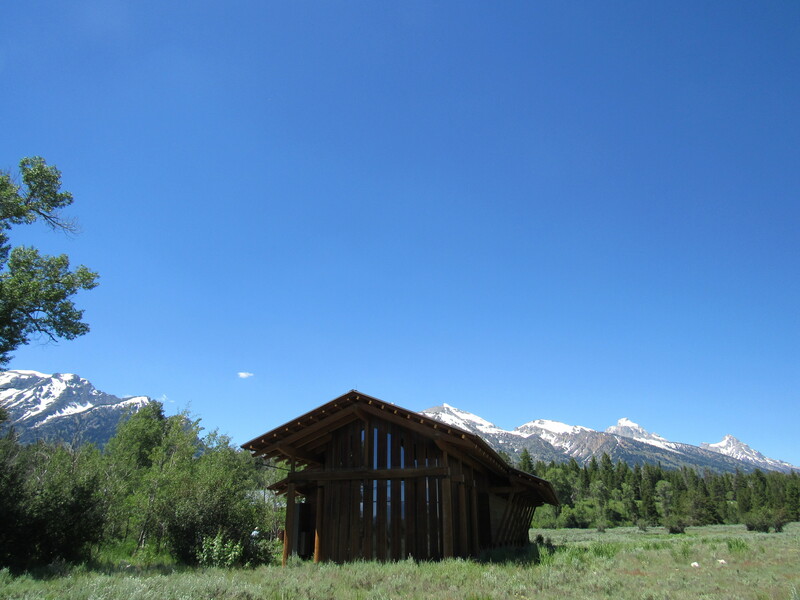 We made a quick stop at Mormon Row, and I was able to capture a picture of the iconic Mouton Barn with the Tetons in the distance. The boys weren’t up to touring the farm. I think we tired them out!! We took a scenic drive on Moose-Wilson Road to the Laurance S. Rockefeller Preserve Center which was in an amazing architectural building. He donated his land so that people can come and experience the beauty. Inside we loved the sound room. You also have the option to hike to Phelps Lake, but there was a waiting line for parking, and I couldn’t persuade the family. But I heard it is amazing!! 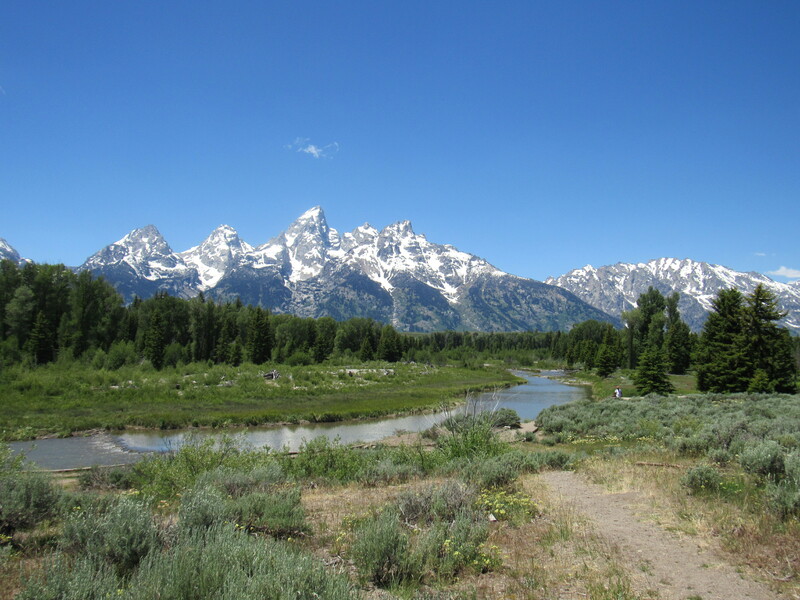 As we made our way back to Jackson Hole, we stopped to check out Teton Village, but just drove in and out. It looked like there was a beautiful resort, but not much was going on. Back at Jackson Hole, we walked a few blocks to the town square and ducked in to a few shops. It’s very quaint and I even captured a picture of a horse drawn covered wagon. If you are looking for some souvenirs, this is the place to get them! For dinner the boys decided on Big Hole BBQ. Ok, this is more like it. If you’re going to be in Wyoming, you have to try their BBQ. You can read my review here. I can’t believe that this is the end of this trip!!! We certainly got a lot in during these 6 days, but there we some things I wanted to do that we just couldn’t get to, such as a river float. There are various companies that offer them. I also heard Chuck Wagon Dinners are fun. 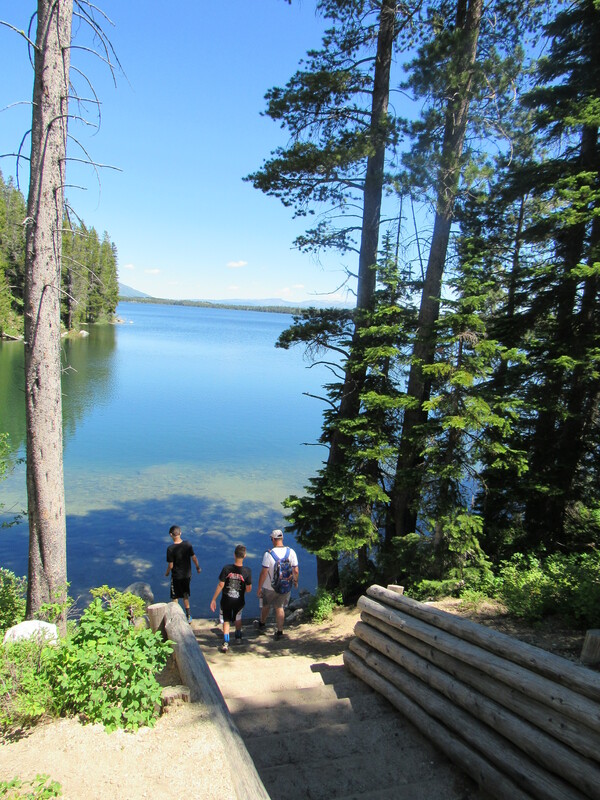 There are also rodeos offered in the area, Hot Spring dips, and a hike to Taggart Lake. Thanks for joining our journey. Time to make our 20 hour drive back to the Midwest!